Leamington Rugby Sports Club Men’s Lacrosse team were beaming after beating the Hamilton Devils 12-6 in their first game. 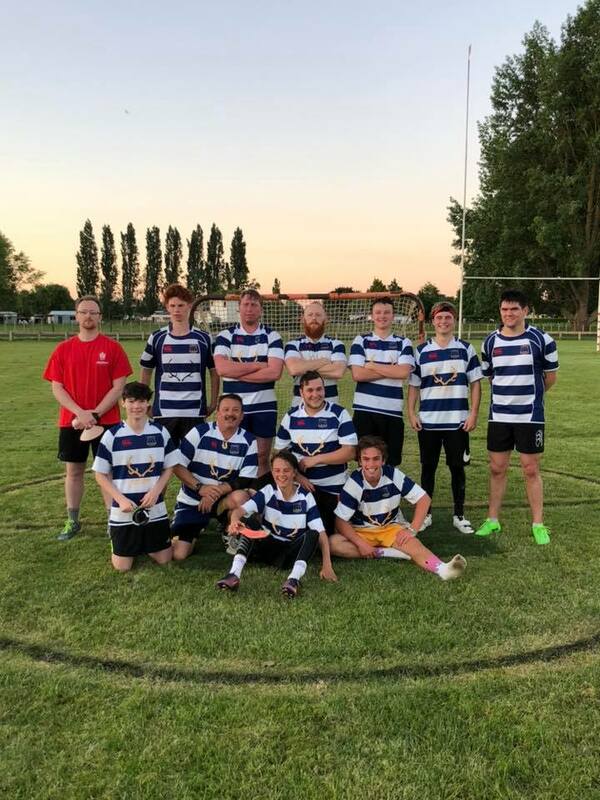 The newly-formed Leamington Rugby Sports Club Men’s Lacrosse team has won their first game of the season, beating the Hamilton Devils 12-6. The game on November 14 started strongly with midfielder Lucas Thom winning the ball straight from the first whistle and taking it straight to the goal for their first score of the night. Hamilton came back a couple of minutes later with their own goal, and the Leamington lads quickly claimed a few more scores of their own to build up a solid lead in the first half of the game. “We had most of the possession, but the Devils used it well when they had possession of the ball and would create some good opportunities,” said the Leamington coach Anthony Warrington. “Although we had a four-goal lead in the second half the game still could have gone either way.